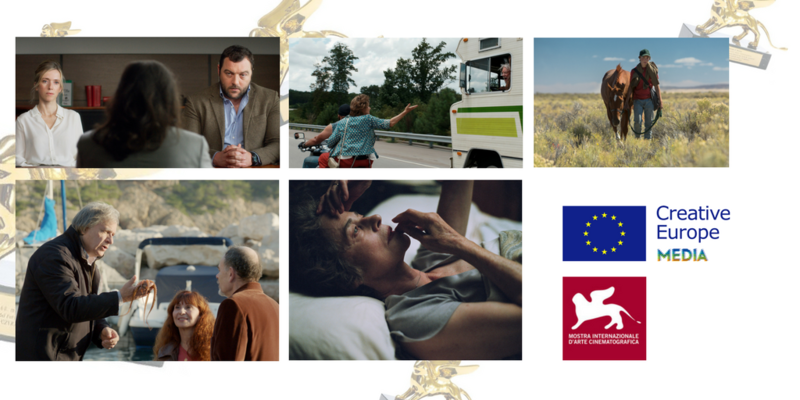 The 74th edition of the Venice International Film Festival has opened its doors on 30 August 2017 with the participation of 11 films supported by the European Union via the Creative Europe MEDIA programme. The Festival also includes a two-day European Film Forum event on 3 and 4 September 2017, co-organised by the Commission with La Biennale di Venezia. The European Film Forum (EFF) will bring together industry representatives and policy makers to explore, on one hand, the industrial and societal effects of virtual reality and, on the other hand, to look ahead to the future of audiovisual policy and support programmes. The newly appointed Commissioner for Digital Economy and Society, Mariya Gabriel, will be sharing her perspective on the current and future MEDIA programme. Future is the keyword of the European Film Forum (EFF) taking place on during the 74th Venice International Film Festival. The first day of the EFF will focus on innovation, in particular in the field of virtual reality (VR). It will explore both the industrial effects of VR and its broader societal implications. Is VR a game-changer for the audiovisual sector? How is it affecting other sectors? How can its potential be fully exploited by European players? Do the experiences that this technology provides impact society at large? These and other questions will be addressed during the first day of the EFF. The event will take place on Sunday 3 September, from 15:00 to 18:00 at the Excelsior Hotel, Venice Lido, Sala degli Stucchi. The second day will be devoted to EU's support to the audiovisual industry, and will look ahead to the future of audiovisual policy and support programmes. Speakers will take stock, in particular, of the achievements of Creative Europe MEDIA while reflecting on its future. MEDIA’s current budget comes to an end in 2020. How can the future MEDIA Programme help the audiovisual industry to further take advantage of the possibilities offered by Europe's Digital Single Market? How can the objectives of competitiveness and cultural diversity be reaffirmed and reinforced in light of the digital revolution, changing audience behaviours and preferences? Prominent stakeholders from the industry, as well as high-level policy-makers at both national and European level, will offer their perspectives on these issues and will share their vision of the future of the MEDIA Programme. The Commissioner for Digital Economy and Society, Mariya Gabriel, will be closing the European Film Forum with her perspective on the current and future MEDIA programme. The event will take place on Monday 4 September, from 10:00 to 11:45 at the Excelsior Hotel, Venice Lido, Sala degli Stucchi. Eleven films co-financed by the European Union will be screened during the 74th Venice International Film Festival. 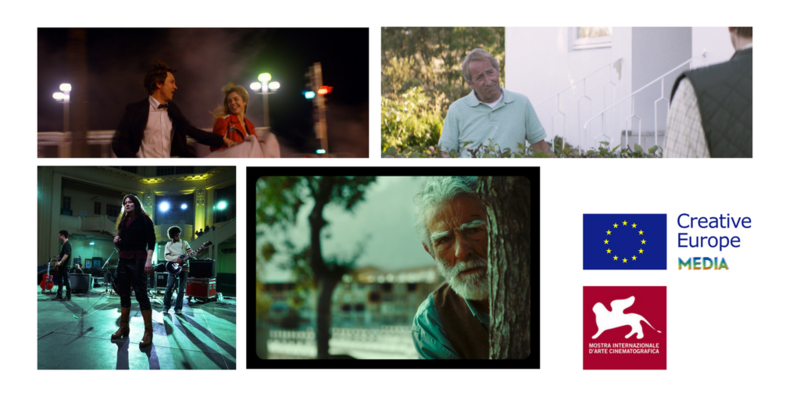 These films have received EU funding through the development and distribution schemes of Creative Europe MEDIA, for a total amount of €792.572. Racing and the Jailbird (Le Fidèle) by Michaël R. Roskam (Belgium, France, Netherlands), supported at the development and distribution stages. The European GAP-Financing (1-3 September 2017) is a co-production and a co-financing market for European projects wich have secured at least 70% of their budget. This platform offers the opportunity to secure the final financing of the projects through one-to-one meetings with professionals and investors (producers, sales agents, distributors, financiers, broadcasters and funds). The European GAP-Financing was awarded € 60.000 in 2017 via the market to access support scheme of Creative Europe MEDIA. The Biennale College is supported by MEDIA for two of its training activities: The Biennale College – Hybrid (a programme devoted to Virtual Reality) and The Biennale College – Cinema (a creative community that explores the aesthetics of micro-budget feature length filmmaking and the new integrated models of production which engage with an audience from the outset). These two activities were awarded € 190.000 in 2017 via the training support-scheme of Creative Europe MEDIA. Art cinema = action + management is another training activity that takes place during the Venice Film Festival. This course is addressed to art house cinema exhibitors and professionals (cinema managers, operators and programmers in managing art house cinemas) and foresees sessions for Juniors (at least one year experience in art house cinema exhibition) and Executives (at least 5 years experience in cinema exhibition ans/or audiovisual sector). Art cinema = action + management was awarded € 145.0000 in 2017 via the training support-scheme of Creative Europe MEDIA. Festival Scope is an online platform for film lovers screening films from the best film festivals. Thanks to on-going agreements with film festivals worldwide, Festival Scope makes independent films available on-line during their festival presentation, so that they can enjoy extra visibility and promotion. The Venice Film Festival is one of the partner festivals and in 2017 and 10-15 films from different sections will be screened on the platform during the festival period. Festival Scope was awarded with € 130.000 in 2017 via the Promotion of European films Online support scheme of Creative Europe MEDIA. MEDIA Sub-programme of Creative Europe is designed to support European film and other audiovisual industries. It provides funding for the development, promotion and distribution of European works within Europe and beyond. It invests in the training of producers, film distributors, directors, and screenwriters to help them adapt to new technologies. Each year, MEDIA supports around 2,000 European projects including films, TV series, video games, training programmes, cinemas and much more.